Have you ever met a Lily of the Valley pattern you didn't like? Now there are two more to enjoy! Looking for stylish and fun! Ivy Brambles Lily of the Valley Gloves! These gloves are extra long with beautiful bands of Lily of the Valley, Leaves and Trellis Lace creating lovely and feminine gloves for a special occasion! These gloves feel wonderful on and the intricate lace is fabulous! 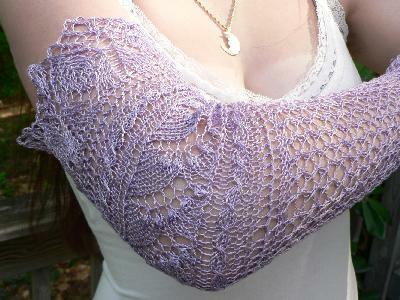 Gloves shown are knit using one skein of Ivy Brambles Pure Silk in colorway Aster. 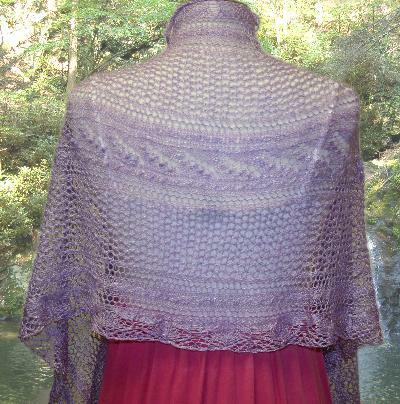 Ivy Brambles Lily of the Valley Shawl is a stunning 25 x 60 shawl with a lovely band of Lily of the Valley running through the center. Edged with lacy leaves and flowering corners, this dreamy shawl is knit using one skein of Ivy Brambles Pure Silk. 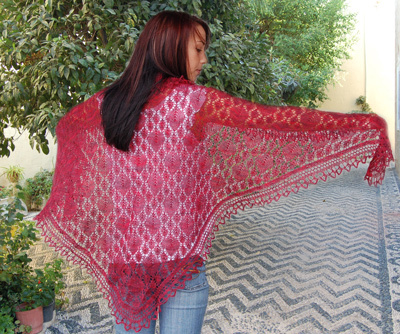 Another fabulous shawl from Jocre Arts! Both of these new patterns are available as PDF downloads for your enjoyment! 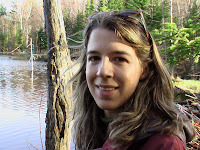 Congratulations to our newest prize winner, Eliane S. of Montreal, Canada! Eliane received a gorgeous prize selection of the Halo Pave Shawl Pattern, a skein of Ivy Brambles Romantica Yarn in colorway Sunrise, a Knitting with Friends T-shirt and a Tote Bag! Yeah! More prizes are drawn every two months! You could be our next winner! 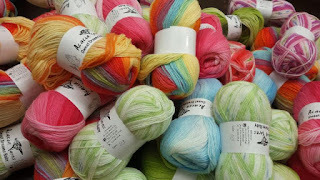 Stock up and save continues - we have added in-stock Louisa Harding yarns to the sale - 20% off MSRP through July 7, 2010! Enjoy your week! Happy Fibering!